Lab mouse models of inflammation: For burns, sepsis, trauma, animal testing data don’t match humans. Years of research into inflammatory disease, costing billions of dollars in research funding, has been wasted on the lowly mouse. If you inject a person with a bolus of bacteria, she might get a fever. Her heart rate could go up, and her breathing might start to quicken. Left unchecked, there’s a chance her body would succumb to inflammation, her organs failing as she dies. Do the same to a laboratory mouse, and something unexpected happens: The cells of its tiny immune system don’t get so overcharged. The animal gets the opposite of a fever; its temperature begins to drop. A modest squirt of toxin from E. coli can put a human into shock, but the relative dose must be increased a million times before it kills a mouse. Given this divergence, you might expect that scientists who study acute inflammation might look at other animals instead. Some mammal species—rabbits, guinea pigs, or marmosets, to name a few—are more sensitive to sepsis. They’re more reminiscent of us. Yet in this field of research, as in all of biomedicine, the lab mouse reigns supreme. The perils of the murine monoculture in science have been made apparent once again, this time in a study published this week in the Proceedings of the National Academy of Sciences. The paper’s authors, led by Junhee Seok, H. Shaw Warren, and Alex Cuenca, start with a dispiriting review of their colleagues’ findings. So far, nearly 150 potential treatments for severe inflammation—caused by infection, burns or trauma, among other things—have been tested in clinical trials. These interventions have emerged from a sprawling literature of animal experiments—lab tests run on mice that have been injected with a bacterial endotoxin, scalded with hot water, or opened at the abdomen and relieved of a major portion of their blood supply. Yet none of the drugs that seemed so promising in model mice worked out so well in practice. Not a single human trial ended in a positive result. That doesn’t mean that animal testing is itself a lousy business, but it does imply that the animals in question might not be the best candidates for the job. The new study provides the details to support this crucial notion. To assess the mouse as a model for inflammation, the authors performed all the procedures described above and analyzed the animals’ white blood cells for changes in the activity of their genes. Then they did the same for human patients, by comparing blood-cell samples drawn from healthy people to those from people suffering from the analogous diseases (inflammation brought on by burns or trauma, or in some experimental conditions, by injection with the endotoxin). Finally, the scientists placed the mouse and human data side by side. How similar, in fact, were the genes involved in each species’ inflammation? Which molecules or kinds of signaling inside a cell did these two systems share? The answer: not many. The correlation between mice and people was close to zero. For any given human gene that kicked up its activity or battened down in response to inflammation, there was a 50-50 chance that a corresponding mouse gene would be moving in the same direction. Even when the experimenters limited their analysis to the “top 105” genes most obviously implicated in human inflammation—the ones they found to have the most significant changes overall—the study found only weak corroboration in the mice. The differences went deeper still. Those changes the researchers found in human patients persisted for many months after whatever happened to cause the inflammatory response. In mouse models, these changes tended to resolve within a couple of days. Not only did the individual genes that respond to inflammation differ across the species, so did the major pathways for communication within cells. It wasn’t only that the human and mouse immune systems were driving different cars, or driving them at different speeds: They were driving on different roads, and heading in different directions altogether. Among the mice, though, the genetic data didn’t match so well across the experimental conditions. The animals that had been burned reacted not at all like the ones that had been blood-let or injected with the toxin. That’s despite the fact that unlike the humans, every mouse was pretty much the same as every other: an 8-week-old, male specimen of the C57Bl/6 (“Black-6”) strain that has become the standard currency in biomedical research. Black-6 mice are not merely members of a family: They are inbred to the point that each one can be described as an identical twin to every other, in a sprawling lineage of virtual clones that dates back 90 years. It’s not just genetics, either. These 8-week-old, male Black-6 mice were raised under identical conditions, in mostly germ-free environments on beds of aspen chips, with little opportunity for exercise and an endless supply of food. Even still, the human data looked far more consistent across conditions than did data from the mice. Taken together, the findings suggest a fundamental disconnect between the mouse models of inflammation and what occurs in human patients. It’s not just that mice might have an attenuated response to trauma and infection, but that their response differs in important, qualitative ways from our own. In humans, trauma and infection (and many other conditions) can lead to the same dangerous endpoint—an outcry from the immune system known as systemic inflammatory response syndrome. In mice, something else may be happening altogether. Two years ago, McGill University researcher Jeffrey Mogil used a similar approach to compare changes in gene expression across models of chronic pain. But instead of comparing mice and humans, or other rodents and primates, Mogil looked at a pair of common lab animals that appear to be quite similar: rats and mice. Not long after that paper was published, Mogil told me that the results had “scared the hell” out of him: The gene profiles from mice and rats were nothing alike. 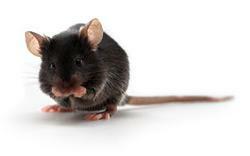 In fact, they were as distinct from one another as the mouse and human profiles described in this week’s study. All these details notwithstanding, years of practice and refinement have made the modern lab mouse the most powerful tool we have in research medicine. Scientists all over the world run experiments and develop methods using the same, standard organism. That’s why a mouse can be bought and bred for a fraction of the cost of other animals, why it can have its genes knocked in or out or turned on and off throughout its life, why it’s been the subject of a million research papers and will be the subject of a million more. No model organism provides more depth and flexibility. None is as brilliantly efficient. The authors of this week’s study know all this—they call the mouse “a cornerstone of modern biomedical research,” and make it clear that they have no interest in abandoning the standard model even in their modest field of inflammation. Instead, they’d like to “raise the bar” for mouse studies aimed at curing human disease by asking colleagues to show, first of all, that whichever gene or molecule turns up in animals applies to humans, too. This vital step has been ignored for far too long, as scientists relied instead on the simple and not-so-enlightening measure of mouse survival. Asking whether a mouse is alive or dead—whether it’s “paws-up or paws-down,” as they say—may be a good way to start an experiment, but it’s a terrible way to finish one. There’s another way to look at all the difference data, though. The fact that mice are so unlike people could be the thing that makes them interesting. One might be inclined to ask what makes the mice so unusually impervious to inflammation. If we stopped treating them as a lousy model of ourselves and studied them instead for the special talents that are all their own, perhaps we’d find out something new. It’s the same logic that drives the study of the naked mole rat, which has an amazing ability to shrug off carcinogens, or the Burmese python, which can sustain a swollen heart. But to call the mouse exceptional, and not treat it as a furry stand-in for ourselves—i.e., to focus on the differences across the animal kingdom as much as on the similarities—would require a radical shift in how we do science. For now, it remains an open secret in biomedicine that mouse models can be a lousy fit, and that no matter how nimble or sophisticated our tools of analysis might become, science still gets mired in the kludgy move from one species to another. The PNAS paper shows how hard it will be to negotiate this major problem of translation. It took the authors a decade of data collection and analysis and tens of millions of dollars in federal money to finish their experiment. The huge collaboration that produced the inflammation data set up what they called a “model validation core“—a group of laboratories that hoped to figure out “whether experimental models of tissue injury, blood loss, and endotoxemia resemble the human inflammatory response to injury using state of the art genetic and analytical assays.” But this was just one small part of a much bigger project, tucked into a “glue grant” from the National Institute of General Medical Sciences. The sad fact is that funders favor projects that will deliver positive results—new genes, new pathways, new drug targets—not downer news about what we might be doing wrong. A bias works against this research at the other end of science, too, once the data has been collected and the conclusions spelled out in black and white. Writing in the New York Times, Gina Kolata notes that the study’s authors spent a year just trying to publish the paper. It was rejected from the top two journals, Science and Nature, and the authors fell back to PNAS because a personal connection there eased the process of peer review. Indeed, the same mouse-inclined researchers who serve on federal grant-review committees—sometimes called the “mouse mafia” (as opposed to, say, the “monkey mafia”)—also work for the editorial boards of science journals. The story of how the PNAS study was conceived and published suggests that we’re not yet on the eve of a Great Mouse Reckoning. Even if money for similar research in other fields of biomedicine were forthcoming, the science itself might be impractical. It’s easy enough to take white blood cells from hospital patients for a large-scale genetic study of inflammation, but what if the disease you’re looking at involves the heart or brain instead of plasma? Chronic pain, for example, affects more than 30 percent of the population, but to study this group of patients in the same way as researchers did for the victims of acute inflammation would require a far more invasive set of procedures. “The ‘relevant’ tissues (i.e. spinal cord, thalamus, cortex) tend to be ones that humans are not eager to donate,” Mogil explains. In 2011, I argued that any standard organism has a natural limit to its utility, and that we may have reached that point already with mice. If that’s the case, we’ll need to start with something new—a more comparative, organic form of science, perhaps, one based on differences across animals instead of similarities between them. But we’ll never know if it’s time to make this major change unless we do the sort of tricky, trying work that was published earlier this week. Have our mouse models finally run their course—not just in the study of inflammation but for cancer, tuberculosis, stroke, and all other killer diseases? It’s time to find out.